Before Johnson & Johnson Innovation officially opened the doors on its JLabs @ TMC, the 34,000-square-foot space featuring lab space, individual office suites, and open workstations, 2020 Exhibits was challenged by design architect Gensler to deliver some creative and compelling elements of this remarkable space. Designed by Gensler, JLABS @ TMC features 14 common spaces, 22 private labs, two concept or shared labs with 32 workstations, 34 offices and 32 workstations. It is also the first JLABS @ TMC with a prototype lab, which features a computer-assisted design machine and 3-D printer for companies to design and build their products. 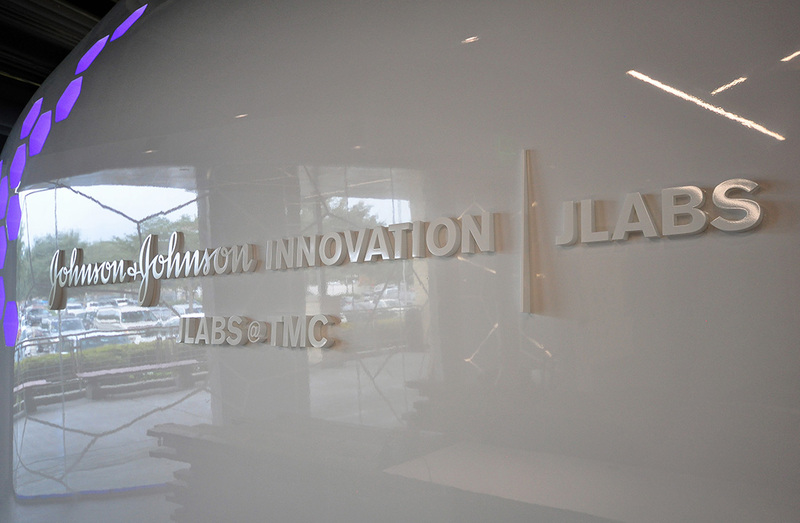 JLABS @ TMC promotes creativity and collaboration within a branded 24/7 environment that revolves around connectivity and transparency. While there is plenty of private space, with 36 percent of JLABS @ TMC is shared office space. 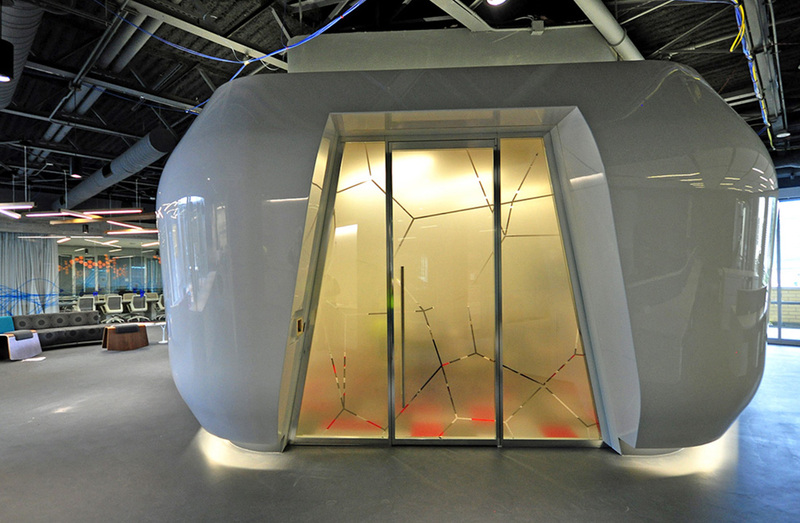 Respecting Gensler’s design concept and vision for the space of “Beyond Science", the 2020 Exhibits team endeavored to find creative and effective fabrication and installation solutions for these forward-thinking, dynamic, and exacting (Think uber-cool) designs. 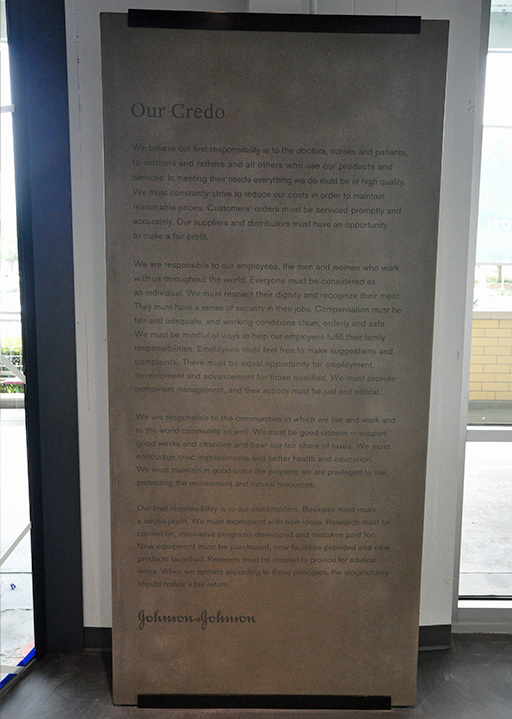 The Credo Wall - a feat of engineering at 7-feet 6-inches tall and weighing in at almost 300 pounds, this smooth cast concrete with etched letters appears to float. The Conference Room – you will find no straight lines with these vinyl graphics. 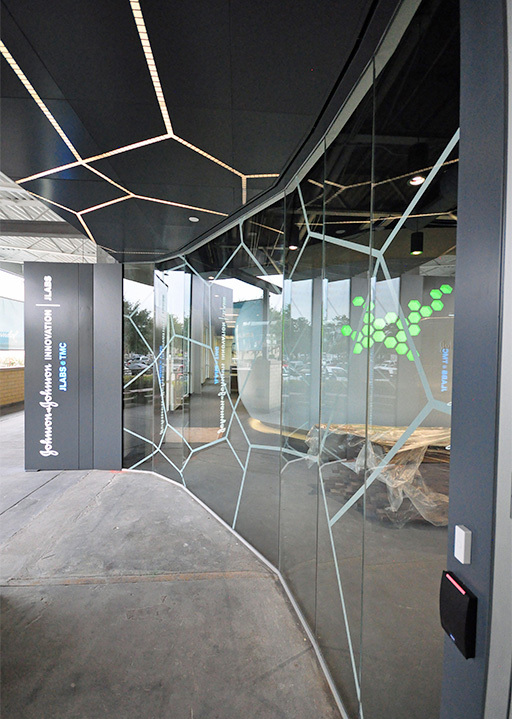 2020 Exhibits produces this layering effect via custom-designed vinyl graphics. Interior Graphics & Signage – custom wall graphics coupled with stand-off acrylic accents make for the perfect blend of technology and design. 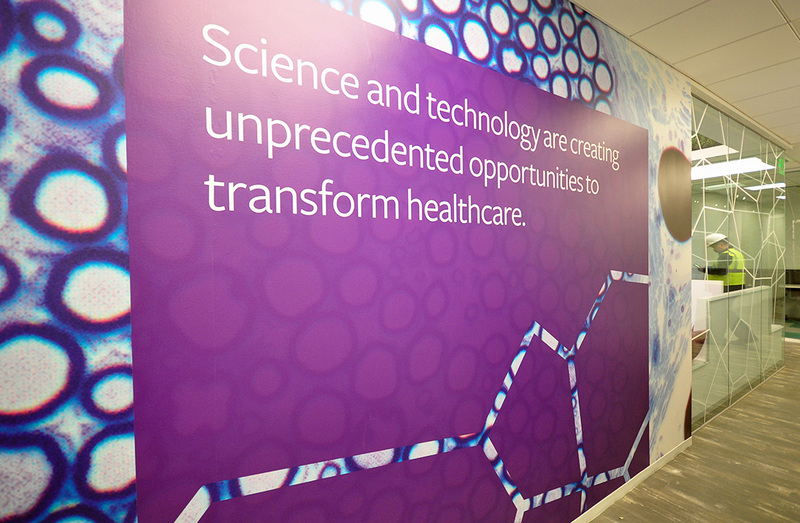 Innovation reigns supreme at JLABS @ TMC. 2020 Exhibits deliverables throughout the project celebrated innovation, feats of engineering and creativity throughout. Messaging and branding recognize the connectivity and transparency of this forward-thinking, modern prototype lab. 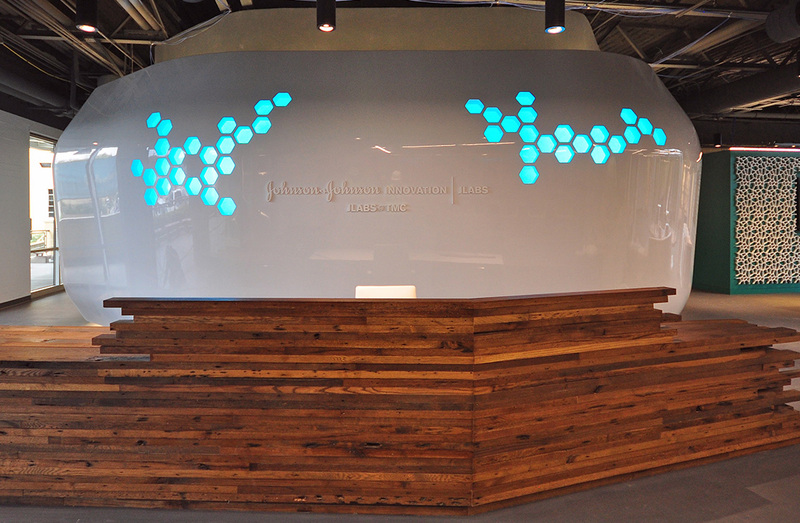 Breathtakingly beautiful, in both form and function, JLABS @ TMC represents the perfect blend of art and science.